See below for STEM PD opportunities! STEM Academies and Science Instruction for Diverse Learning Populations are available this Summer. Science Leadership Course Flyer – Foundations of Science Leadership for K-8 School Administrators. Click here to register. 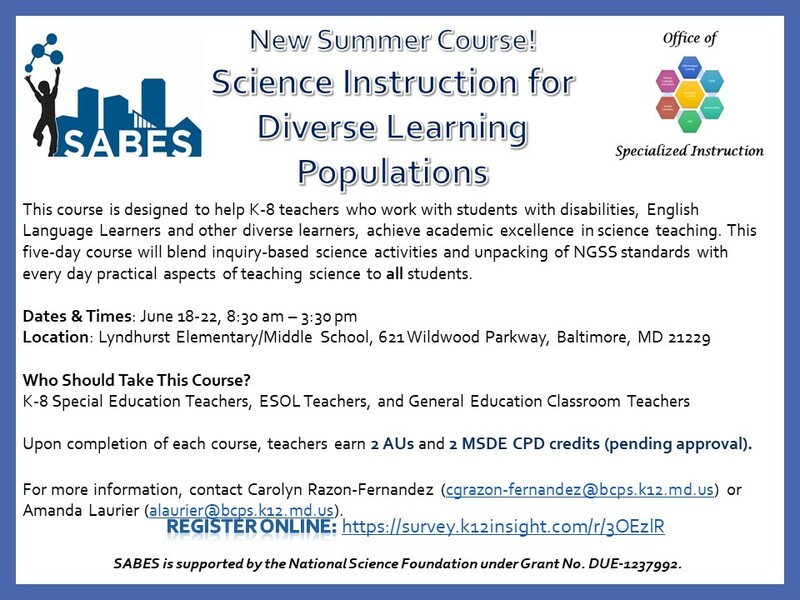 All teachers who teach the SABES in-school curriculum are asked to attend Professional Development in the Science, Technology, Engineering and Math (STEM) content. The material covered during the courses is aligned to the Next Generation Science Standards. 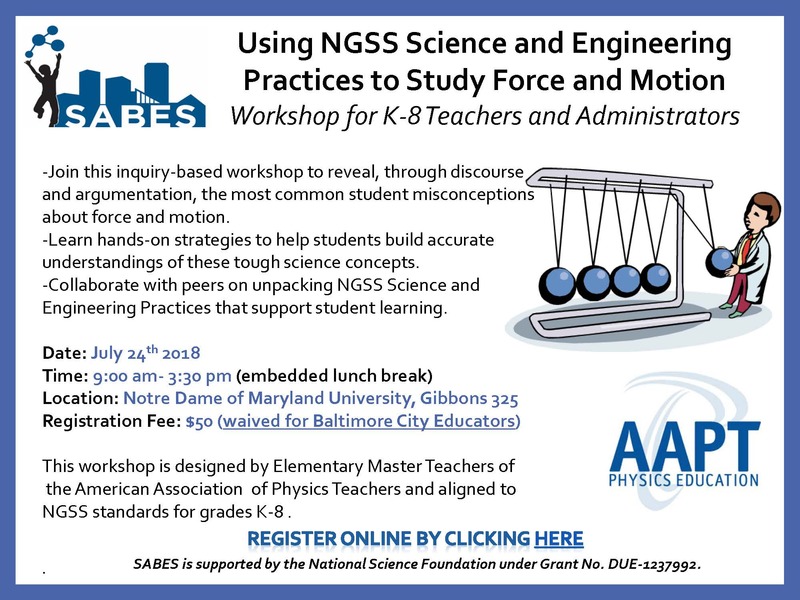 The sessions are taught by Baltimore City STEM Master Teachers and focus on content that is necessary for elementary teachers to understand in order to reveal and disarm students’ most common misconceptions about STEM. Who Can Attend The Professional Development?  The SABES STEM Academies are highly recommended for the STEM teachers in the SABES and SABES expansion schools, but are open to all K-6 Baltimore City Public School educators. SABES Master Teachers are full time elementary teachers. Because of their individual interests in STEM teaching, they have taken Master Level STEM certificate courses at Johns Hopkins University or Notre Dame of Maryland University. 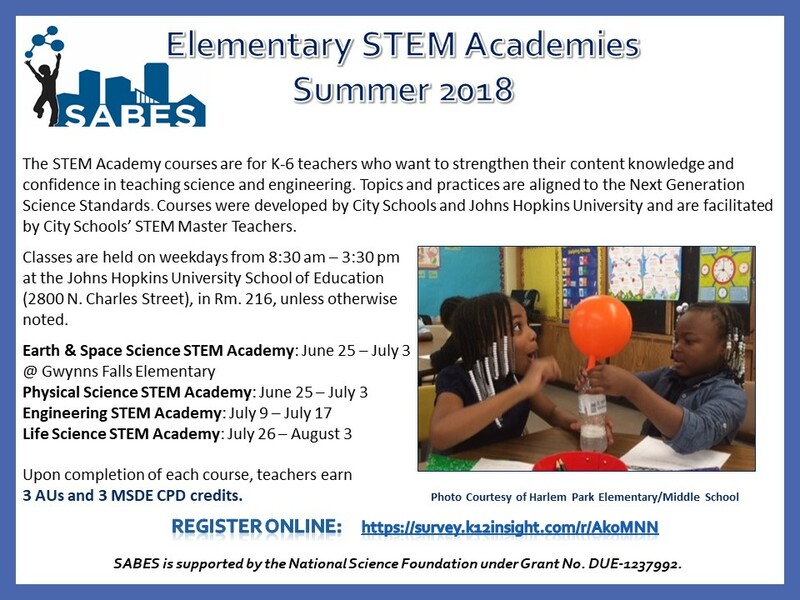 Prior to teaching SABES courses, Master Teachers facilitated Baltimore City district level STEM Professional Development, wrote Elementary STEM curriculum, and mentored other teachers during STEM summer school. Their efforts are compensated by Achievement Units (AUs) – the Teacher Leadership compensation system developed and accepted by the Baltimore Teacher Union. All courses use the ‘indirect’ teaching method and focus on learning by discovery. During classes, teachers are exposed to hands -on explorations that help them construct new meaning and form their own understanding of the natural world. The explorations follow the 5E sequence, and allow teachers to debate and argue their ideas without lecture. Depending on the content taught, Johns Hopkins Science and Engineering Faculty assist with the class conversations helping teachers grasp the new material and interpret new ideas in a context that relates to their own experiences. NOTICE: The information contained in this e-mail may be confidential and is intended solely for the use of the named addressee. Access, copying or re-use of the e-mail or any information contained herein by any other person is not authorized. If you are not the intended recipient please notify us immediately by returning the e-mail to the originator.